What is a public garden, and what is it for? 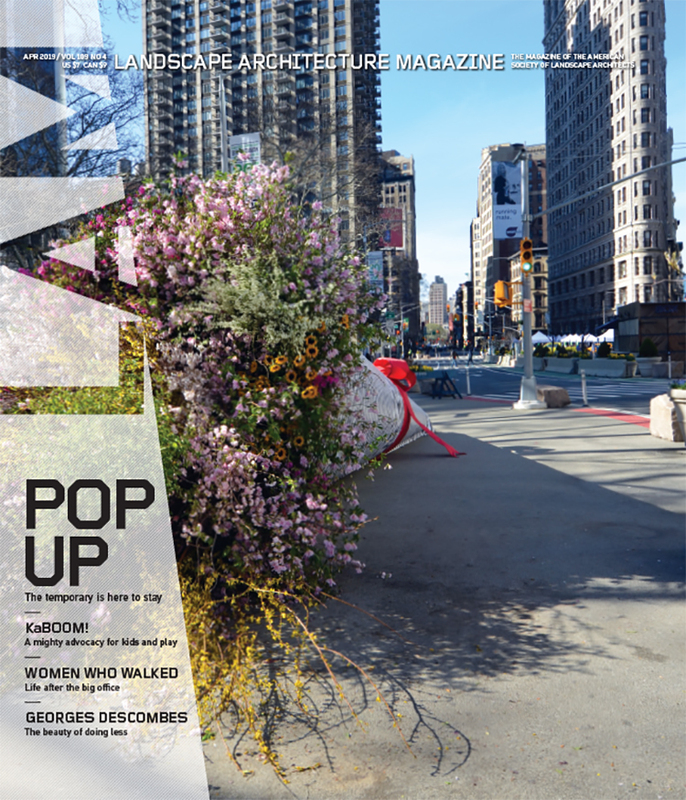 The June issue of LAM looks at new works at the New York Botanical Garden and the Brooklyn Botanic Garden, prefaced by a conversation on the public garden’s evolving mission with the landscape architects Sheila Brady, FASLA; Darrel Morrison, FASLA; Annette Wilkus, FASLA; Scott Scarfone, ASLA; Gary Smith, FASLA; and the New York Botanical Garden’s vice president for horticulture and living collections, Todd Forrest. The Foreground sections look at new research on luring the bees to underused parts of Houston, student debt loads for landscape architecture graduates, fetching new transit design in Buenos Aires, and an update on Lawrence Halprin’s neglected Heritage Park Plaza in Fort Worth, Texas. The Species column this month offers up wild pigs and birch syrup, Goods has gorgeous outdoor fixtures, and the Books section reviews a pair of new releases on green infrastructure. Keep an eye out here on the blog, on the LAM Facebook page, and our Twitter feed (@landarchmag), as we’ll be ungating some June pieces as the month rolls out. Credits: Native Plant Garden: Ivo M. Vermeulen; Heritage Park Plaza: Elizabeth Meyer, Courtesy the Cultural Landscape Foundation; Native Flora Garden: Elizabeth Felicella; Species: Michelle Pearson; Laguna Gloria: Courtesy Reed Hilderbrand; Stone Mill: Elizabeth Felicella; Buenos Aires Transit: Cecilia Garros Cardo; Ethnobotanical: Francisco Gómez Sosa; Visitor Center: Aaron Booher, ASLA/HMWhite Site Architecture. OFF TO THE ASLA EXPO! 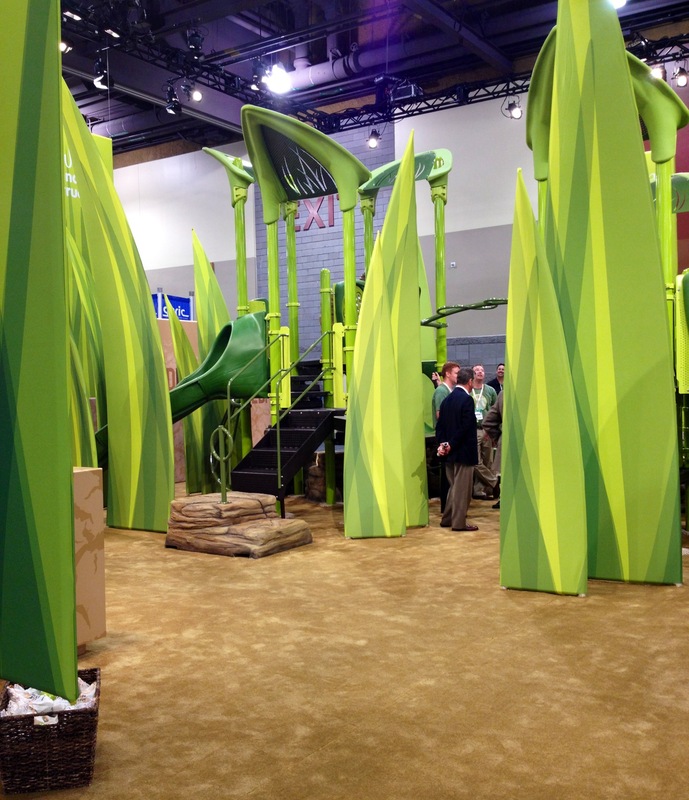 LAM Arrives at the 2013 ASLA Expo in Boston. The ASLA Annual Meeting & EXPO begins in Boston this Friday, and LAM will be there! Look for Editor-in-Chief Brad McKee and Writer/Editor Jennifer Reut, who will be hosting Meet the Editor sessions on the EXPO floor on Saturday and Sunday. Meeting attendees who’ve signed up for time slots can talk with them about article ideas or projects that might be of interest to our readers. McKee will present this year’s Landscape Architecture Magazine Advertising Awards, also known as the Lammys, on Friday evening. Organized by LAM’s publisher, Ann Looper, Honorary ASLA, the awards recognize excellence in graphics, messages, and persuasiveness among the magazine’s advertisers. A jury made up of ASLA members from various practice and geographic areas represents the readership and chooses the winners, giving feedback on what kinds of ads catch the attention of landscape architects. Among their many activities at EXPO, Reut and McKee will be attending meetings, stepping into Education and Learning Lab sessions, and, fresh off our November issue that focused on climate change, McKee will moderate the ASLA Open Forum on Climate Change at 11:00 a.m. on Sunday. 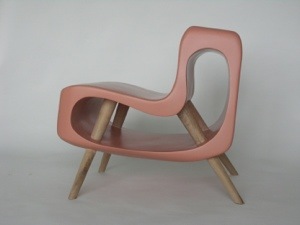 You can also follow Reut on Twitter during the EXPO @JenniferEditor. I will be on the EXPO floor on Saturday to tour the booths and look for products to include in future Goods columns. In 2014 we’ll have columns on new plant varieties, furniture for residential and public spaces, water and irrigation, fences, play equipment, and more. If you’re going to be at EXPO, keep an eye out for the LAM staff and introduce yourself. 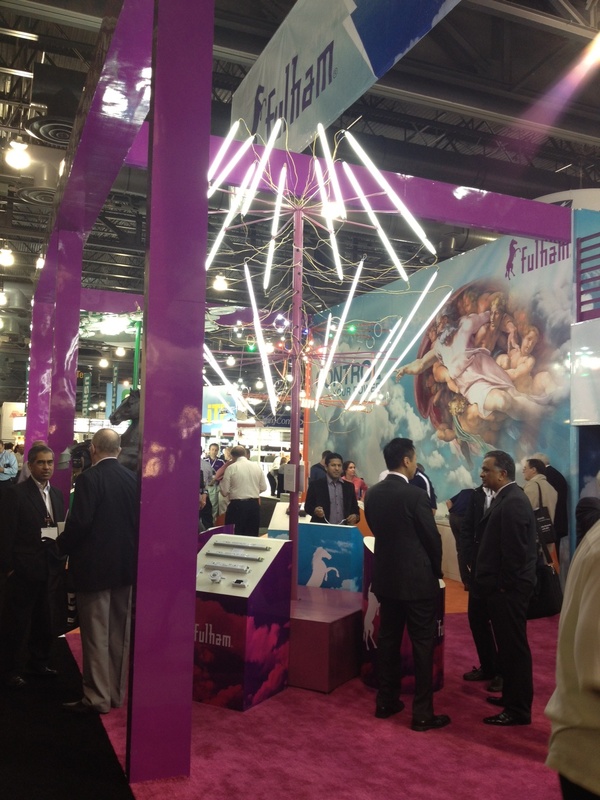 The Philadelphia Convention Center is packed with people attending Lightfair 2013, checking out what’s new in lighting. LEDs blaze coolly on every aisle, and crowds pack the booths. Fulham Lighting Solutions (Booth #2701) is catching attention with its artful trees composed of light fixtures (the artist Chris Bell created the example pictured at left). The company Xeralux has renamed itself Sensity and is debuting its new NetSense platform, which uses sensors and a WiFi network within light products to collect and transmit data. In a parking lot, for example, NetSense can detect empty spaces and direct drivers to them. It can also incorporate security cameras to monitor the space without having a separate system. If you’re in Philly, check it out at Booth #3869. The Expo is open until 6:00 p.m. today and from 9:00 a.m. to 3:00 p.m. tomorrow.